LINCOLN, Neb. (CN) – A class action filed in Nebraska federal court early Wednesday wants the Nebraska Department of Corrections and state parole board to address several prison issues including overcrowding, inadequate health care and a lack of accommodation for disabled prisoners. Currently at 159 percent of capacity, Nebraska prisons have been above the emergency capacity level for over a decade, according to the ACLU statement. 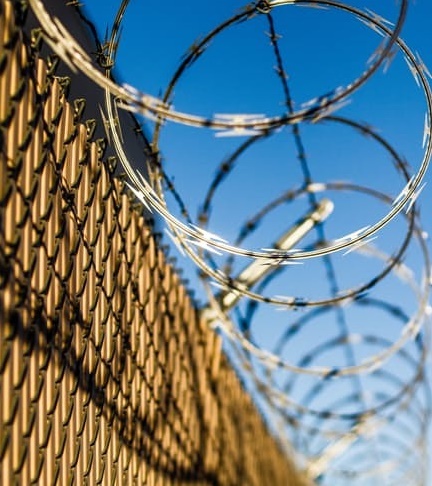 As a consequence, prisoners lack access to adequate health care, are held in extreme isolation, exposed to violence and refused accommodations for disabilities. Incidents that spurred the class action include a prisoner who was left to die alone in his cell when his calls for help during a heart attack received no response, and an instance from earlier this year when a prisoner was killed by his inmate after the two were placed together in an isolation cell designed to hold a single occupant. Suicide rates in Nebraska corrections facilities are also 30 percent higher than the national average for state prisons. Plaintiff Hannah Sabata, a 24-year-old woman being held at the Correctional Center for Women in York, says she has suffered through repeated lapses in prescription medications she requires to treat schizophrenia and HIV. Another, a minor whose initials are R.P., says he is held in his cell for 23 hours a day despite his psychiatric disabilities and has been placed in shackles so frequently that his wrists and ankles are scarred. Michael Gunther is 62 years old and says he lost his sight because corrections failed to provide adequate treatment of his diabetes. Gunther, who has trouble walking because of his complications, is currently at risk of amputation. He says he sometimes goes without eating because he can’t navigate his way to a dining area in another building without help and staff have “tripped him and put objects in his path,” according to the complaint. “The crisis in Nebraska prisons threatens the health, safety, and lives of both prisoners and staff,” said David Fathi, director of the ACLU National Prison Project, in a statement. The deteriorating condition of Nebraska’s corrections system has become a big story locally in recent years, as its problems have spilled into the community. Two riots rocked state penitentiaries in the last two years, the 90-page complaint notes, with multiple staff injuries and four prisoner deaths occurring during these eruptions. A scandal over widespread errors in sentencing calculations and the high-profile case of Nikko Jenkins has further eroded public faith in corrections. Jenkins murdered four people within days of his release from prison, with negligent parole supervision and improper sentence calculations playing a role as well, according to the complaint. Authorities set Jenkins free despite a lengthy history of violence both while incarcerated and while free in society, and had spent much of the two years before his release in solitary confinement while his mental state deteriorated. “Despite these events, repeated warnings from prison staff, multiple reports by outside consultants, and recommendations from the Nebraska Legislature, defendants have failed to take effective action to address these long-standing and well-known deficiencies,” the complaint asserts, demanding an order compelling the state to address its issues. This past April, ACLU Nebraska publicized a letter to Gov. Pete Ricketts, a Republican, demanding he take “immediate action to remedy to the violations of law” and threatening litigation if no steps were taken. Making good on its threats, the ACLU notes that “there has been no meaningful action taken to address the overcrowded and unsafe conditions in Nebraska state prisons” since its April letter. In a statement issued today, Ricketts pushed back against the notion that his administration and corrections officials have been inactive. “Over the past few years, all three branches of state government have made justice reinvestment and corrections reform a top priority. Together, we have invested millions of taxpayer dollars to protect public safety and expand state prisons. This litigation from the ACLU threatens public safety by seeking the early release of dangerous criminals and could endanger our corrections officers by further limiting the tools they have to manage the inmate population,” he said. Corrections director Scott R. Frakes declined to comment on the lawsuit. But in April, he responded to the ACLU’s demand by publicizing a letter of his own saying the department was making progress under his watch. “Thanks to a collaborative and comprehensive approach including all three branches of government we are on the road to reducing our prison population,” Frakes said at the time. Eleven current prisoners filed the lawsuit, and class certification is requested on behalf of all current and future prisoners in Nebraska. David Fathi of the National Prison Project of the ACLU in Washington, Michael W. Bien of Rosen Bien, Christopher M. Young of DLA Piper, Amy A. Miller of ACLU of Nebraska, Robert E. McEwen of Nebraska Appleseed Center for Law and Debra Patkin of the National Association of the Deaf all signed the complaint. Along with the Nebraska Department of Correctional Services and its director Scott R. Frakes, defendants include director of health services for corrections Harbans Deol and Nebraska Board of Parole and its acting administrator Julie Micek.